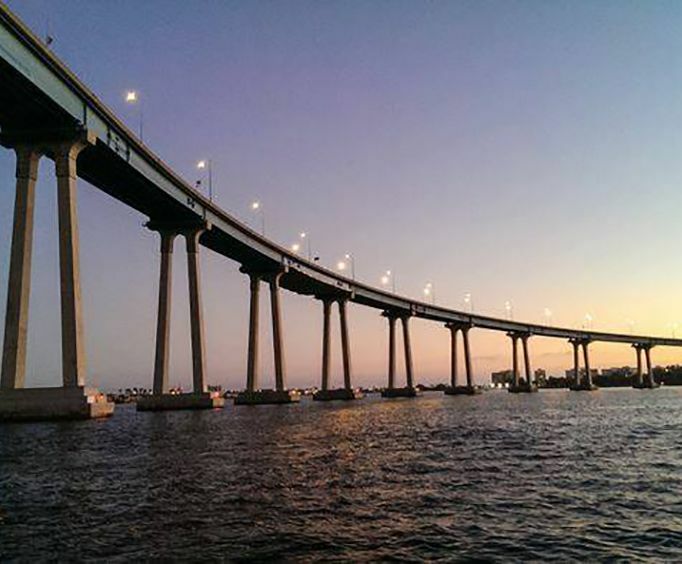 Embark on a fabulous cruise aboard a gorgeous cruise ship with the San Diego Harbor Excursions Dinner Cruise, providing a full dinner, great musical entertainment and 25 miles of amazing city scenery around the harbor. 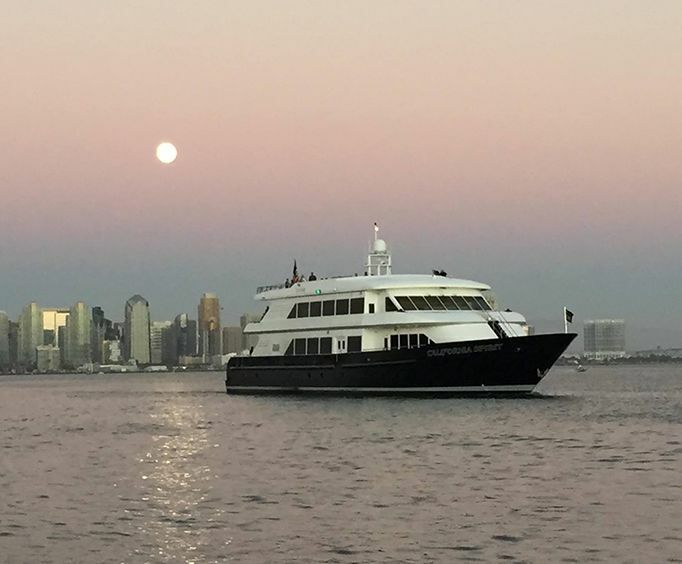 This wonderful excursion will take you out on the water at dusk for a relaxing cruise. As you board the ship, you will enjoy a complimentary glass of champagne to set the mood. 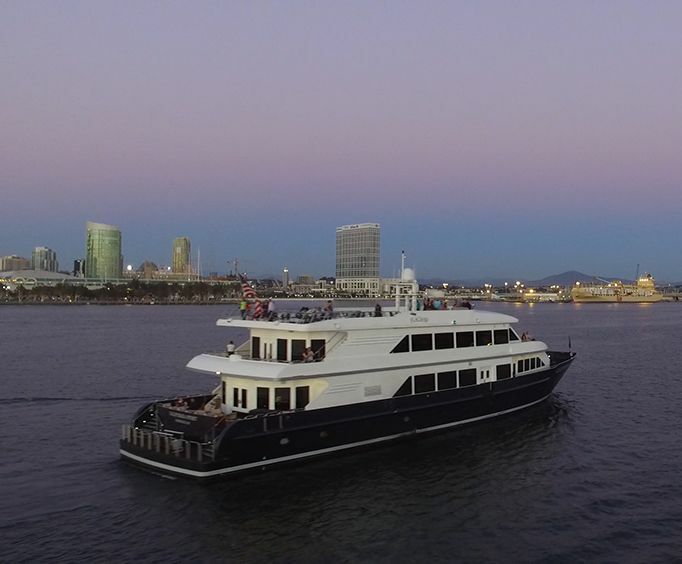 Then, as you're relaxing onboard, you'll have the chance to look out your window at the city scape views of the San Diego skyline while dining on a delicious meal of delicacies like grilled flat iron steak and Casear salad. Take care of that sweet tooth with our delectable chocolate mousse cheesecake! After the meal, you can dance the night away to music provided by popular area DJ's. Make your reservations today! Eggplant Parmesan: Crispy breaded and baked eggplant with mozzarella and marinara served with linguini and oven roasted seasonal vegetables. For the Young Sailor (Children 4-12) Hand breaded organic chicken tenders with organic macaroni and cheese. Served with seasonal fresh fruit and chocolate chip cookies. Food - 7/10, service 9/10, cruise 10/10. The dj was great and we all had a wonderful time! Thank you!